. Blend Effects – Create stunning outputs with new blend effects. These are 89 new pre blended effects spanning into such different categories as Light-leaks, Bokeh, Grunge, Rain drops, Paper and Water-colour. 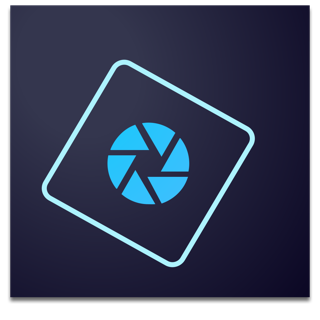 This is a great app, and the phone version is essential for quick photos on the go. However for more detailed photos that I like to edit on my iPad, I used to use the other Adobe product, Photos by Aviary. Now I have a new iPad, and can’t download Aviary as it has been removed and I’m being directed to this. Which, as I said, is good and getting better all that time. And yet... it still lacks a lot of the options and functionality that I had in Aviary. Where are all my frames? Where are all the fantastic filters? I know these are not in the far more complex and not very mobile full Photoshop, as I have to use that for work. So my verdict is use this, it is simple and you will get good results. But developers - now you have taken Aviary away from us, PLEASE can you put more of the features from that into Photoshop Express. I’m happy to pay for the packs if necessary, but I really want my vintage filters and silkscreen frames. I also miss the gallery, I really loved the feature of watching how people’s completed photos were edited. I became better at editing my own photos through browsing that gallery. Or do I really have to keep my old iPad 4 JUST to keep editing photos in Aviary so I can keep access to frames and filters? Really? Sigh. We have added your request in our feature List and will look into it. Thanks for your feedback. Can you please share more details like which type of photos you are opening, is it camera captured, or RAW format. You can also write or share the image to us on PSX-Feedback-iOS@adobe.com for better assistance.